This is a top feed adjustable air suction tabletop folder manufactured by the MBM Corporation, so you know that it’s a quality piece of equipment. 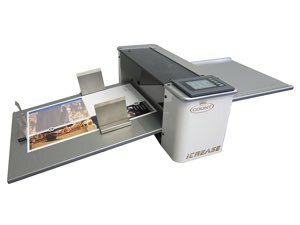 The 1500S Automatic Folder is small enough to fit in an office environment, but powerful enough to run 15,000 sheets per hour. The primary advantage to an air suction folder is its ability to adjust to pull coated or heavier stock with no jams. It comes preprogrammed with six standard folds, but can store up to 30 in its memory. The LED controls on the 1500S Automatic are extremely user friendly and the extended tray will neatly stack your sheets as they exit with a perfect fold every time. 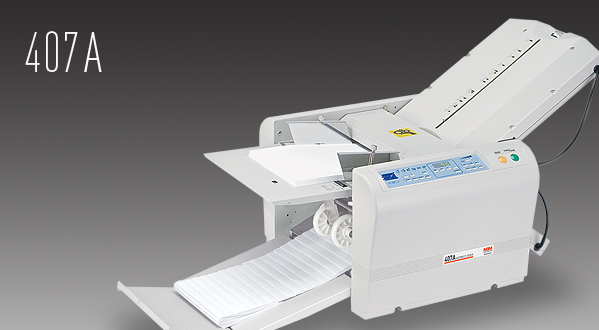 The 1500S Automatic Programmable Air Suction Tabletop Folder is $6,299 at Lloyd’s. We’ll throw in free shipping and a gift with your purchase. For more information on this folder or to place an order, please visit the Lloyd’s website.